Wholesale Electronics liquidation, Overstock Electronics, Department Store Closeout Electronics Liquidators Truckloads. Stay on top! We won't sell or share your email address! Do your sell electronics as well as furniture? We can supply you with great electronics at below wholesale prices! Here are just some of the items we have available. Make sure to visit the rest of our web site for other types of merchandise. If you are looking for liquidation wholesale merchandise that you don't see at our site, please visit TDWCloseouts.com. Brand-Name Small Appliances: Huge selection of brand name of small appliances such as: Sunbeam, Oster, Rival, Crockpot, Holmes, Bionaire, Mr. Coffee, Health o Meter, Food Saver, Seal a Meal, Danby, and many more. Pallets may contain an assortment of: toasters, toaster ovens, hand mixers, stand mixers, juicers, bread makes, crock pot, microwaves, cookers, electric grills, air conditioners, deep fryers, skillets, ice cone makers, popcorn makers, irons, roasters, rice cookers, steamers, blenders, sandwich makers, and much more. Your cost is as low as $695 per pallet. Minimum order is 3 pallets. FOB Florida. Small Appliances: All new merchandise. May contain a selection of mixed brand name items: blenders, toasters, coffee makers, rice cookers, and much more. Your special price is as low as $495 per pallet. Minimum order is 3 pallets. FOB Florida. 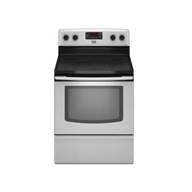 LG Appliance Loads: New overstock and some returns. 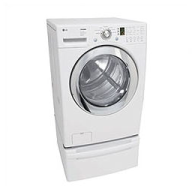 Huge selection of high-end washers, dryers, remigrations, and more. FOB Miss or TN. Please call for merchandise availability and the lowest prices. Super Value!!! Brand Name Electronics/Hardgoods: May contain a combination of DVD recorders and players, stereos, boom boxes, pDAs, CD players, home theater, digital cameras, scanners, printers, TV/VCR combos, video games, air conditioners, camcorders, and more. Please call for updated prices! Your cost is $3497 per lot (i.e. 3 pallets). Buy 3 pallets and get 1 pallet FREE!!! FOB Florida. 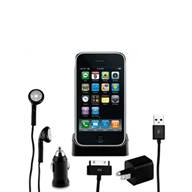 Electronics from TRS: Huge selection of items may contain overstock and returns merchandise. Truckloads may contain a mixture of: radio CD players, MP3 players, TVs, speakers, headphones, alarm clocks, fingerings talking CD players, radio I-Pods, Disney Hannah Montana CD&G Video Karaoke, Disco Light Karaoke Systems, scan radios, walkie-talkies, Lego clocks, electric guitars, CD players, sing-along boom boxes, movie CD boomboxes, auto universal FM transmitters, accessories, and much more. Each truckload contains 26 pallets approx 7' tall. FOB Mass. Electronics from Walmart: Brand-names electronics. May contain a combination of TVs, DVD players, stereos, boom boxes, pDAs, CD players, home theater, digital cameras, scanners, printers, TV/VCR combos, video games, Sega games, shelf systems, amplifiers, copiers, camcorders, and more. Please call for updated prices and merchandise availability. 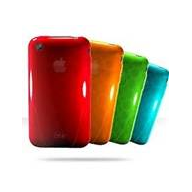 FOB Minn.
Wholesale Cell Phone Accessories: All new and sealed. 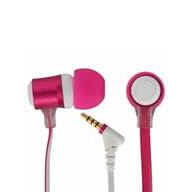 These are the latest cell phone accessories for the latest and current model cell phones such as the Apple iPhone, the Samsung Galaxy, the Blackberry Bold, and others. Huge assortment of iPhone covers, cell phone cases, headphones, car chargers, cell phone batteries, data cable/charger sets, iPad cases, screen protectors, and many more. Each cell phone accessory comes in a hard packaging for nice display in your store. These items retail from $10 to $35 each. Was $3.50. Your cost is as low as $2.95 each. Minimum of 1000 pieces. FOB NY. Electronics from Sears: Sold by the lot, or truckload. Customer returns and shelf-pulls/overstock merchandise. Loads may contain a combination of: CD player, boomboxes, phones, car stereos, videos, cam-corders, electronic games, printers, microwaves, vacuum cleaners, fax machines, and much more. Please call for updated prices. FOB Florida, Atlanta, Ohio. All New Brand Name Refurbished Electronics. : Sold by the lot or by the truckload. Loads may contain a combination of: digital cameras, DV camcorders, TVs, microwaves, MP3 players, digital memory camcorder, wireless Bluetooth headsets, DVD camcorders, and much more. Items can be purchased as all-of-one-kind or as mixed lots. FOB CA. Please call for merchandise availability and prices. 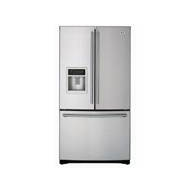 Home Depot Large Appliances Loads: Huge selection of brand-named appliances. A mix of refrigerators, washser, stoves, ranges, and much more. Each load contains 24-26 pallets. Your cost $5900. Call for a super deal! FOB TN. Delonghi Small Appliances/Housewares from High-End Dept Store Code #3: Pallets may contain a mixture of coffee makers, sandwich makers, espresso machines, toaster overs, blenders, Meyer, Circulon, Styne, Anolon, Farberware, T-Fal, presto, Elements; cookware, glassware, silverware, pot and pans, small appliances, and many other household items. Your special price is as low as $895 per pallet. Minimum order is 2 pallets. FOB Florida. Housewares from High-End Dept Store Code #3: A huge selection of high-end brand names: Krups, Delonghi, Tools of the Trade, Hoover, Gibson, Revo, Meyer, Circulon Styne, Anolon, Farberware, T-Fal, presto, Elements. Pallets may contain a mixture of cookware, glassware, silverware, pots and pans, small appliances, and many other household items. Please call for more details. Minimum order is 3 pallets. FOB Florida. Brand Name Electronics: Pallets may contain a combination of TVs, DVD players, stereos, boom boxes, pDAs, CD players, home theater, digital cameras, scanners, printers, TV/VCR combos, video games, Sega games, shelf systems, amplifiers, copiers, camcorders, and more. Your cost is $2700 per lot (i.e. 3 pallets). Pallets are about 7' tall. Minimum order is 3 pallets. FOB Florida. Our inventory changes on a daily basis, and images are only meant to suggest merchandise and may not correspond to actual items. First come, first served.